This page is dedicated to increasing awareness of the fantastic horse welfare work done by various charities. Ali Bannister's research for the film uncovered horrendous photos and footage from World War One but also terrible photos of neglect from the present day. If you work for, or know of, a charity that you would like to see promoted here. Please contact us. The Brooke is an international animal welfare organisation dedicated to improving the lives of working horses, donkeys and mules. There are around 100 million working horses, donkeys and mules across the world and during the course of their lives, it is estimated that more than half of these animals suffer from exhaustion, dehydration and malnutrition as a result of excessive workloads and limited animal health services. This results in suffering for the animals and insecure livelihoods for the people relying on them. These problems can be avoided. The Brooke delivers veterinary treatment and community animal health programmes across Africa, Asia and Latin America. The majority of working horses, donkeys and mules are owned by individuals who use them to support themselves and their families. These animals are vital to alleviate poverty, assure food security and promote self-reliance. The Brooke works through mobile veterinary teams, locally trained community animal health workers as well as our partners, ensuring emergency treatment is always on hand to help more horses and donkeys, benefiting their owners and families. The organisation works with communities so that they understand how to care for their animals, ensuring they have regular rest, shade and water. Establishing the root cause of a health problem and preventing it from happening in the first place is the most effective way to ensure sustainable health and well-being. They also work with and influence animal health and veterinary training organisations, agencies and governments, to recognise the importance of working equine animals in poverty alleviation, livelihoods and the global economy – and to make policy and programme changes to improve their welfare. The Brooke shows owners how healthier animals can be more productive as well as training farriers, saddlers, harness and cart makers. Working animals can be happy and healthy if they have the care and respect they deserve. This year, The Brooke will reach more than a million working horses, donkeys and mules, benefiting around six million of the world’s poorest people, who rely on these animals to earn a basic living. The Brooke’s goal is to increase the number of working animals we help to two million a year by 2016. 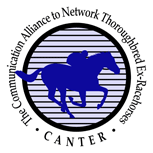 Mission Statement: The Communication Alliance to Network Thoroughbred Ex-Racehorses (CANTER) provides retiring thoroughbred racehorses with opportunities for new careers. Through their website, CANTER provides the means for the public to view thoroughbred racehorses that are ending their racing careers and are available for purchase or adoption through their 11 affiliates across the United States. CANTER volunteers walk the shed rows of the racetracks taking listings and photographs to post to the website. At most of our affiliates, the trainers can donate or sell their horse to CANTER who then find approved non-race homes for them. A Kentucky Facility for Retired Thoroughbreds. 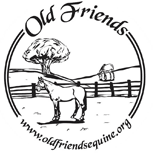 Old Friends began as a retirement and rescue facility for pensioned thoroughbreds. Then news broke of the inconceivable death of Kentucky Derby winner Ferdinand in a slaughterhouse in Japan in 2002 (read more about Ferdinand)*. The discovery gave even more impetus to the organization. "We went from getting five emails a day to hundreds," noted President and founder Michael Blowen. We knew such a death must never happen again. So the plan became to bring at risk racehorses - those whose racing and breeding careers had come to an end - to Old Friends, to provide them with the dignified retirement they deserve, and open the space up to the public. By promoting these one-time celebrated horses through a campaign of education and tourism, they realised that they could draw attention to all retired thoroughbreds and all equines in need.